I hope you all enjoyed the New Product Launch last night. If you haven't had a chance to check out all the gorgeous creations the design team has to share with you, be sure to take a look HERE. 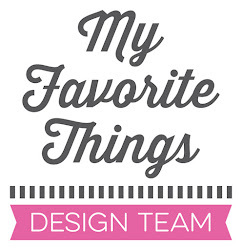 Don't forget to leave comments on all the Design Team members blogs, you could win one of two $100.00 gift vouchers. I created this sweet card for the WSC sketch challenge. 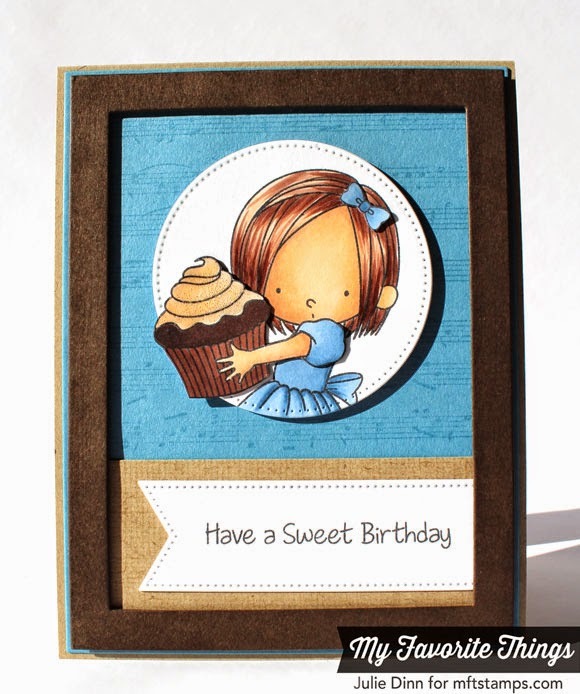 The adorable girl is from the new Sweet Birthday Wishes stamp set. I stamped the image on X-Press It card stock and I colored her with Copics. 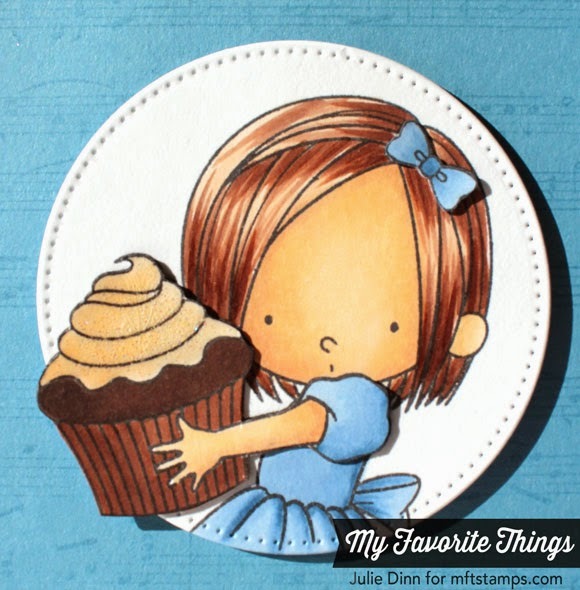 For a little extra dimension, I paper pieced the cupcake, her arm, and her hair bow. I added some Sheer Sparkle Glitter Glaze to the icing on the cupcake. 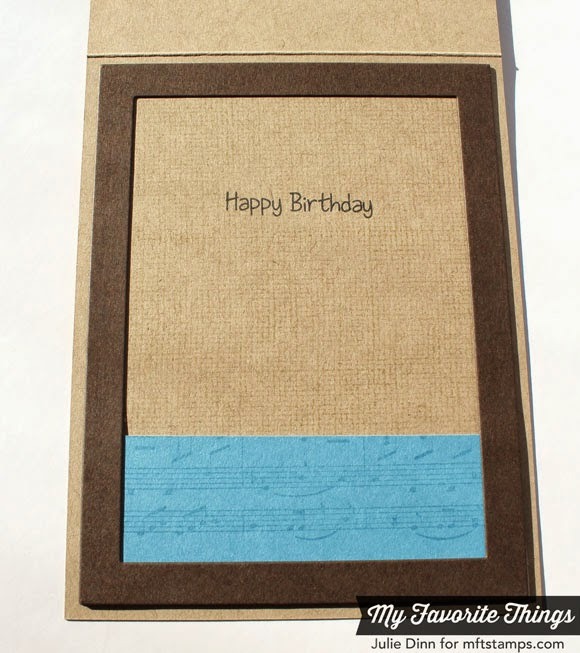 I stamped the background with the Sheet Music Background and the Linen Background. Oh how I love my background stamps! Beautiful! Popping up the parts created so much dimension! Love the look and how yummy the cupcake looks! Blue, Kraft, and Brown together... yum! 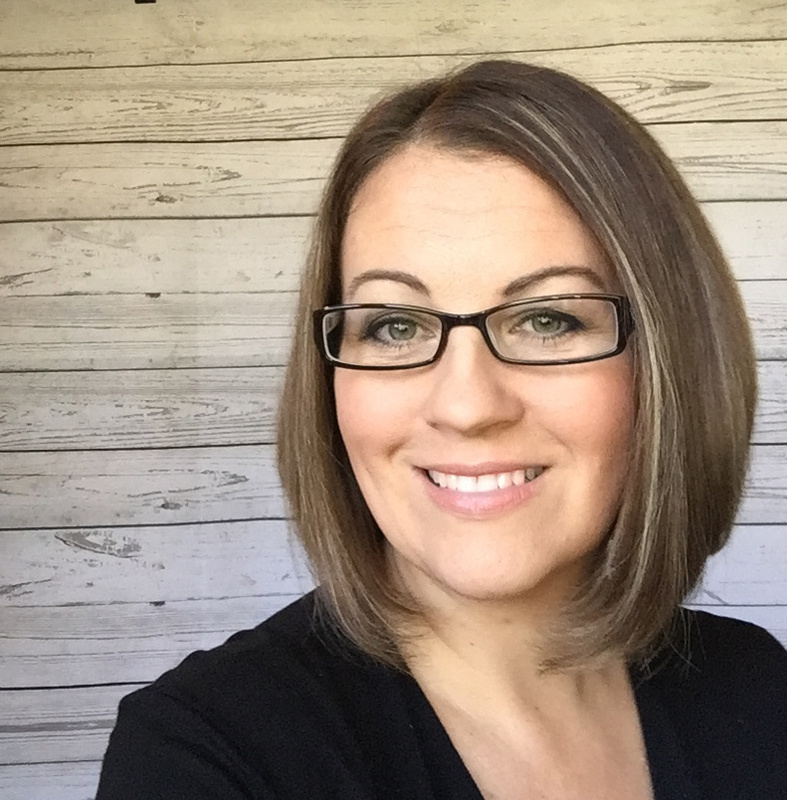 This is fabulous, Julie! GREAT shadows created by the paper piecing!